Have a Kodi build you just can’t stand any longer? This guide will show you how to uninstall a Kodi build on Amazon Fire TV and any other device. Kodi is a free, open source software package that provides you the tools you need to easily create a home theater system. While the initial Kodi setup is very quick, locating and installing multiple addons can become time consuming, especially if you’re installing Kodi on multiple devices. To make things simpler, you can install pre-configured versions of Kodi named builds. These not only decrease the time it takes to get your media center up and running, but can also add additional features or change how Kodi looks. While Kodi can be installed on a vast array of devices including Roku and Apple TV, builds can only be installed on certain platforms, such as the Amazon Firestick or Fire TV, iPhone, Raspberry Pi, PC, or Nvidia Shield. Sometimes you’ll find that a particular build isn’t to your liking. This isn’t a problem: in this article, we’ll be showing you how to uninstall a Kodi build on whichever system you’re using. We’ll also be discussing some of the risks that come with installing any Kodi build. 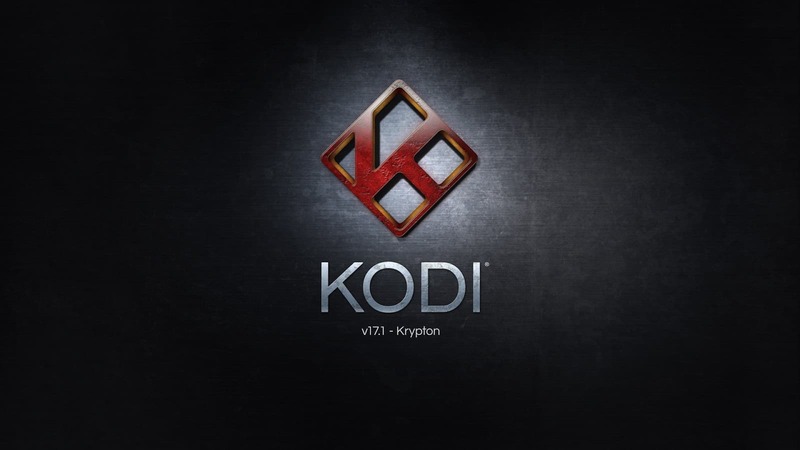 Unfortunately, Kodi has received a lot of negative press recently. This is due to third-party addons which provide unrestricted access to licensed content, and there are several Kodi builds which include these addons. We encourage our readers to research the laws regarding streaming content online before using any such addon to minimize the risk of falling foul of copyright legislation. People these days use the internet for everything from socializing to business. As a result, your online privacy is of paramount importance. Many Kodi users use a virtual private network (VPN) service to anonymize themselves online, and while the press would have you believe VPNs are shady, there are a number of completely innocent reasons a person might use one. A malicious third party can use a Man-in-the-Middle (MitM) attack to intercept your internet traffic. Your computer doesn’t even have to be infected with a virus; this can happen from something as simple as connecting to a public WiFi network. Once this attacker compromises your system, all of your online activities, login credentials, and saved data is visible to them. Even your own internet service provider (ISP) is interested in your browsing habits. There have been multiple cases where ISPs have been found to be intentionally limiting their customers’ internet speeds to discourage streaming video online. This can happen even if you pay for unlimited bandwidth and only stream content from official sources, so you’re effectively paying for a subpar service. A VPN prevents these issues by encrypting all traffic to and from your computer. Once encrypted, any observer would see only a meaningless string of information instead of the sites you’re visiting. Because your ISP can’t tell if you’re streaming video, they’re less likely to automatically throttle your network speeds. This can help prevent stuttering and endlessly buffering video, which improves your overall Kodi experience. We recommend that our readers use IPVanish. It’s one of the best VPNs for Kodi as it works with every addon we’ve tested and provides a stable, fast connection to servers in over 50 countries. Better still, they keep no logs of your online traffic, so your business remains just that: your business. Additionally, IPVanish is currently the only high-profile VPN service that offers a dedicated app for the Amazon Fire TV and Firestick. This allows you to remain protected whenever and wherever you feel like using Kodi. Installing a Kodi build is more convenient than installing multiple addons individually, but there is an increased risk in doing so. When you install a Kodi build, there’s no guarantee that the addons it contains are from a well-maintained repository, can be trusted, or that they haven’t been edited in any way. This isn’t just conjecture: there are documented cases of addons hiding malicious code. For example, Exodus, one of Kodi’s most popular third-party addons, was used to turn the computers of its users into a botnet. All software is vulnerable to attack, and this includes Kodi addons. While official addons are generally created with more thorough testing and quality assurance procedures in place, third-party addons (including all Kodi builds) usually aren’t. This means that there are potentially a greater number of unpatched vulnerabilities for a hacker to exploit. There is very little that an attacker cannot do once your system has been compromised, and for this reason, it’s important to make sure that any of your addons’ pending updates have been properly vetted and approved by the community before installing them. The majority of people will install Kodi on their PC, but the good news is that the easiest way to remove a build is the same across all platforms including Raspberry Pi, Amazon Fire TV, and iPhone. 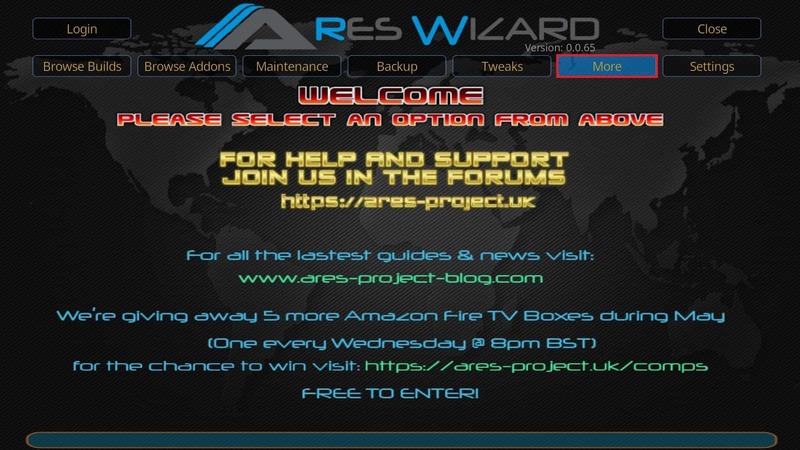 You will have to install the Ares Wizard addon, but this saves you from manually deleting specific files which are in different locations for different platforms. 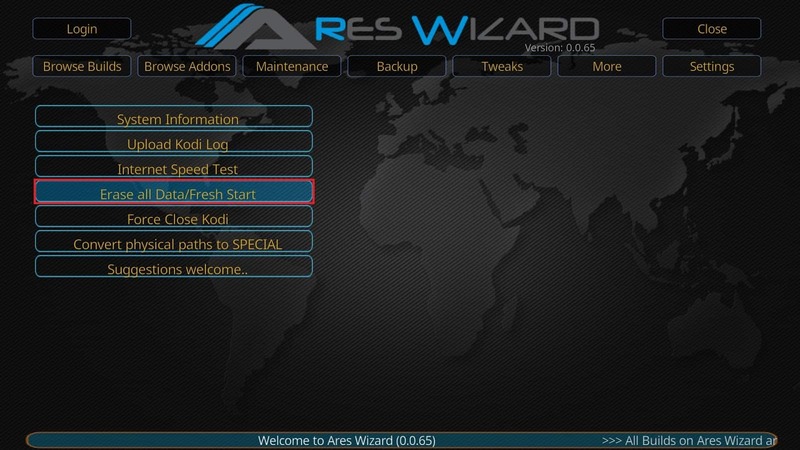 Once the Ares Wizard has been installed, open it. It may take up to a minute, so be patient. When it opens, click on the More tab in the top-right. Next, select the Erase all Data/Fresh Start option on the following page. You’ll be asked to confirm your selection. This tool restores your Kodi installation back to factory settings so all installed addons and sources will be deleted unless you specifically choose to keep them on the next page. Click Yes, then click Proceed. Kodi will now attempt to close and when you restart it, you’ll find that the installed build has been removed. If you’d rather not use a third-party addon to remove a Kodi build, there is another way. Resetting your Kodi installation through the internal settings menu often removes addons but leaves a build intact, so in order to remove it completely you have to delete a specific folder that contains all of the data relating to your Kodi addons, settings, and builds. 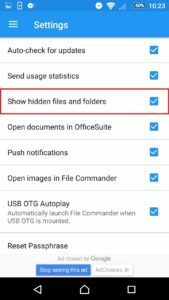 Before we begin, you may have to instruct your file explorer to show hidden files. For Windows, you have to click the View tab and make sure the Hidden Items box is checked. As you can’t view hidden files directly on iOS, you’ll have to connect your iPhone to a computer in order to access the folder you need to clear. 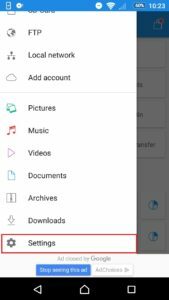 In Android, you’ll have to open the default File Manager app, press the menu button (this is located in the top-left for File Commander but its location may be different based on the file manager you use), and tap the Settings option. 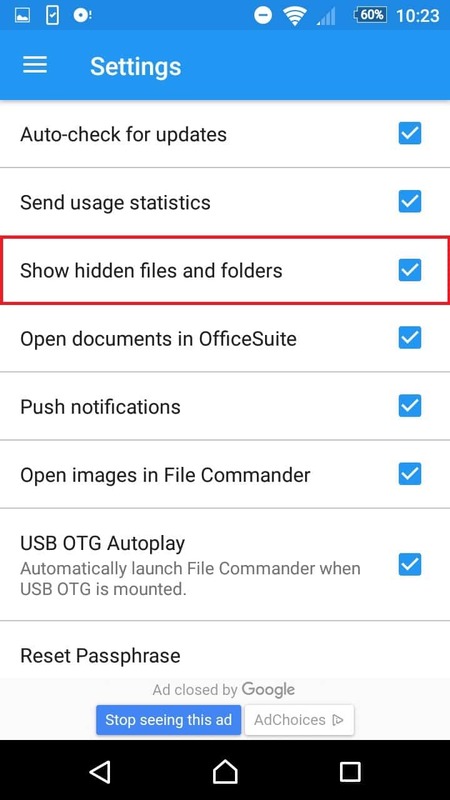 Next, make sure the Show hidden files and folders option is checked. 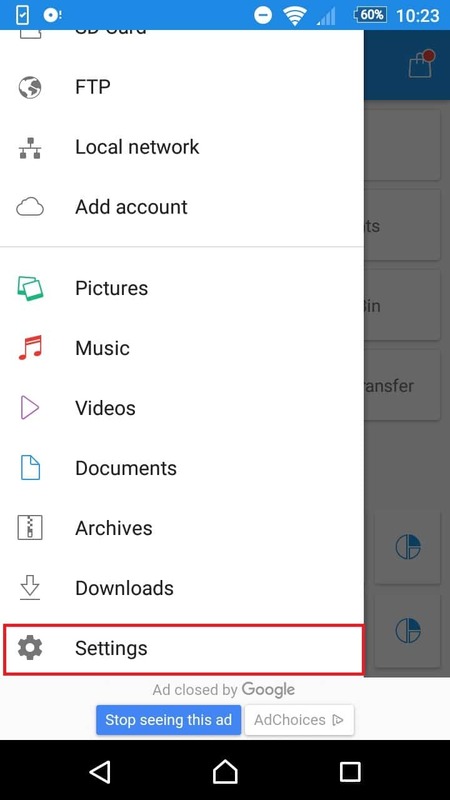 Once you back out of the app, you’ll be able to view all hidden files and folders on the device. Once you can view hidden files and folders, find your platform in the list below, navigate to the location and simply delete every file and folder present. Windows 7, 8, 8.1: In the run box on the start menu, paste “%APPDATA%\kodi\userdata” without the quotation marks. Windows 10: In the run box on the start menu, paste “%LOCALAPPDATA%\Packages\XBMCFoundation.Kodi_4n2hpmxwrvr6p\LocalCache\Roaming\Kodi\userdata” without the quotation marks. Linux (including Raspberry Pi): Open a terminal and paste “~/.kodi/userdata/” without the quotation marks. If you install a Kodi build that you don’t like, you don’t have to be stuck with it forever. While Kodi doesn’t have any reliable way of removing a build built-in, with the right tools removing a Kodi build is a relatively simple job that can be done in just a few minutes. I deleted the last Kodi build I had (manually), and I think I must’ve deleted something that is needed to install it back on my firestick. I reset the stick and it still doesn’t work. When I go to search to install downloader, no other options pop up like they did before. Just gives me an error message. Can you help me please? No matter what I do I can’t install from the Kodi servers. I’ve tried 3 of them and get the same network connection error. I know the Kodi app is installed, I checked spelling, made sure I had no spaces, even typed them in using the WiFi on my browser. Turned off my vpn for fun, that didn’t work either. Any thoughts? Hi Sandi, can you walk me through the problem? It sounds like you’re trying to add a source so you can install addons/repos from a zip file, is that correct? Do you remember which addresses you used? Hi how do i remove kodi from my fire stick i cant seem to find where to do it. My stick is currently in my tv so trying to navigate it from there. Hi Lee. To uninstall Kodi (or any Fire Stick app), go to the settings menu. Click Manage applications, then All Installed Applications. Scroll through until you see Kodi, then choose Delete or Uninstall. Hi Johnnie, it sounds like you’re having trouble installing an addon or build. Often, repositories and addons go offline, making their contents inaccessible. It might also be worth checking that your Firestick is connected to the network – I know it sounds obvious, but you’d be surprised how often people forget. Question. I see KTV launcher running and taking up some resources on my fireTV stick. Why is it there? I once had Kodi but I uninstalled it. I do have Terrarium Tv that I still use. Does terrarium use the KTV launcher? If not, how do I uninstall it? Hi Mike, the KFTV Launcher is just the standard Fire TV launcher. It handles general things like the appearance of the home screen and which apps are displayed. We’d recommend sticking with the KFTV Launcher because third-party alternatives come with additional risk and have the potential to cause very complicated problems if installed incorrectly.